Spain (España) is a sovereign state located on the Iberian Peninsula in South Western Europe. After an arduous conquest, the peninsula came under the rule of the Roman Empire. During the early Middle Ages it came under Germanic rule but later, much of it was conquered by Moorish invaders from North Africa. In a process that took centuries, the small Christian kingdoms in the north gradually regained control of the peninsula and a global empire began which saw Spain become the strongest kingdom in Europe, the leading world power for a century and a half, and the largest overseas empire for three centuries. But continuous wars and internal strife eventually took their toll. The Napoleonic invasions of Spain led to chaos, triggering independence movements that tore apart most of the empire and left the country politically unstable. Prior to the Second World War, Spain suffered a devastating civil war and came under the rule of an authoritarian government, which oversaw a period of stagnation that was followed by a surge in the growth of the economy. Eventually democracy was peacefully restored in the form of a parliamentary constitutional monarchy. Spain joined the European Union, experiencing a cultural renaissance and steady economic growth. Spanish cuisine is enriched by the culinary contributions of the various regions that make up the country. It is a cuisine influenced by the people who have, throughout history, conquered the territory. La comida, the large midday meal in Spain contains several courses. It spans about two hours from 2:00 pm to 4:00 pm, and is usually followed by Sobremesa, which refers to the table-talk that Spanish people undertake. Menus are organized according to these courses and include five or six choices in each course. At home, Spanish meals wouldn’t be too fancy, and would contain soup or a pasta dish, salad, a meat or a fish dish and a dessert such as fruit or cheese and a simple green salad with the meat or fish courses. Andalusian cuisine is both rural and coastal. Of all the Spanish regions, this region uses the most olive oil in its cuisine. 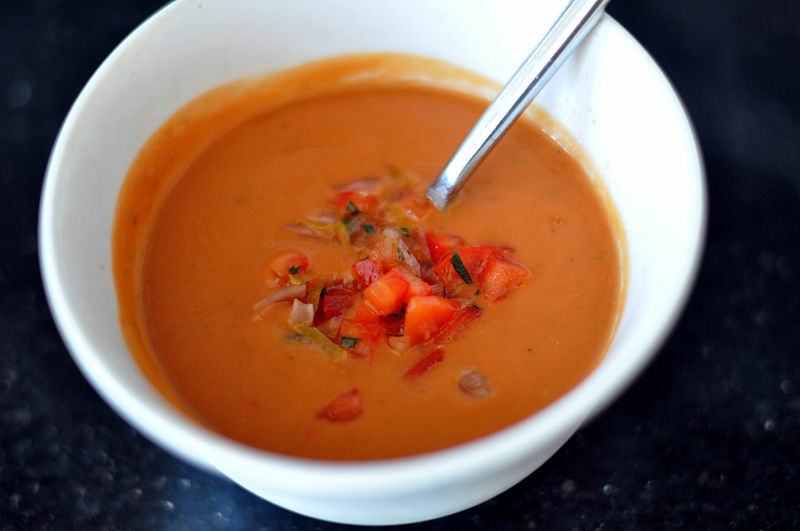 Gazpacho, a cold soup made with five vegetables, bread, vinegar, water, salt and olive oil, is one of the regions’ most famous dishes. Snacks made with olives are common. Meat dishes include oxtail and tripe. A culinary custom is the typical Andalusian breakfast, considered to be a traditional characteristic of labourers’ and today extending throughout Spain. Cured meats include: Serrano Ham and Jabugo. Pork dishes are also very popular, among them: Magras con tomate, roasted pork leg and Almojábanas de Cerdo. Among the recipes made with bread are migas de Pastor, migas con chocolate, Regañaos (cakes with sardines or herring) and goguera. The most notable condiment is garlic-oil. Asturian cuisine has a long and rich history, deeply rooted in the Celtic traditions of northern Europe. 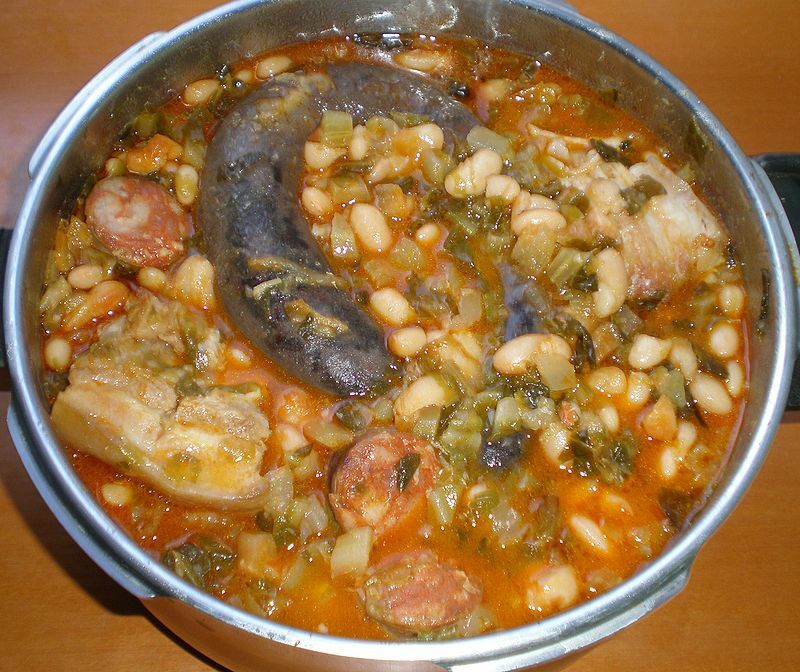 One of its most famous dishes is the Asturian bean stew, which is the traditional stew of the region, made with white beans, sausages such as chorizo and morcilla and pork. 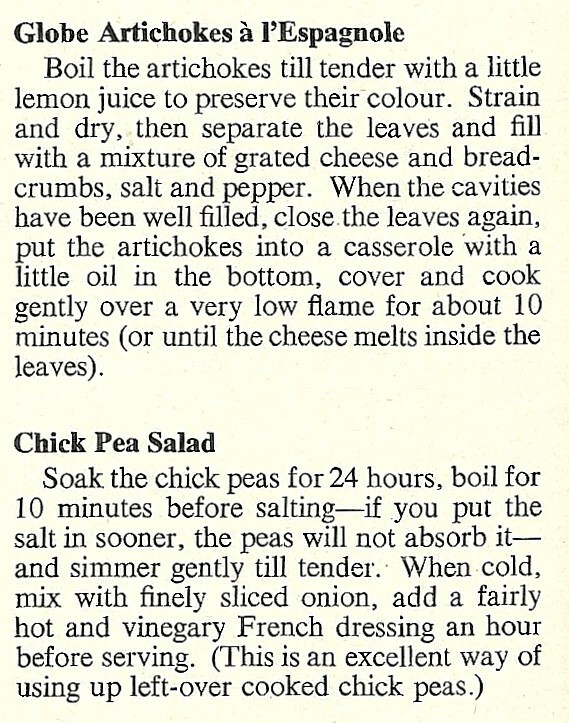 Another well-known recipe is beans with clams, hare and partridge. Also of note are Asturian stew and vigil. 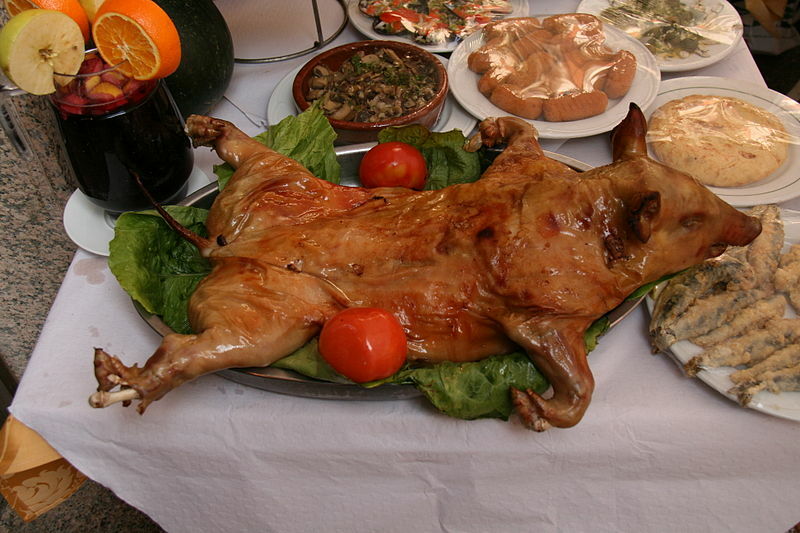 Pork-based foods, for example chosco, tripe Asturias and bollos preñaos are popular. Common meat dishes include carne gobernada and cachopo. Asturian cheeses are very popular throughout Spain, the most representative of which is Cabrales Cheese a strong-smelling cheese developed in the regions near the Picos de Europa. This can be enjoyed with the local cider. Notable desserts are frisuelos, rice pudding and carbayones. Balearic cuisine has purely Mediterranean characteristics. 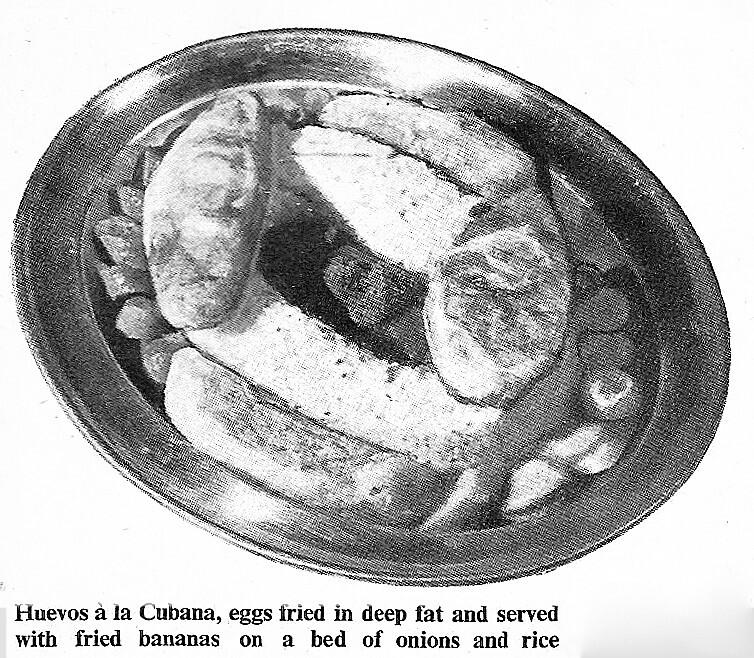 The islands have been conquered several times throughout their history by the French and the English, which has left some culinary influences. Basque cuisine is a wide and varied range of ingredients and preparations. The food culture of the region is very strong among the inhabitants of this region with highlights including meat and fish dishes. Among fish, cod is produced in various preparations while anchovy, bream and bonito are also common. 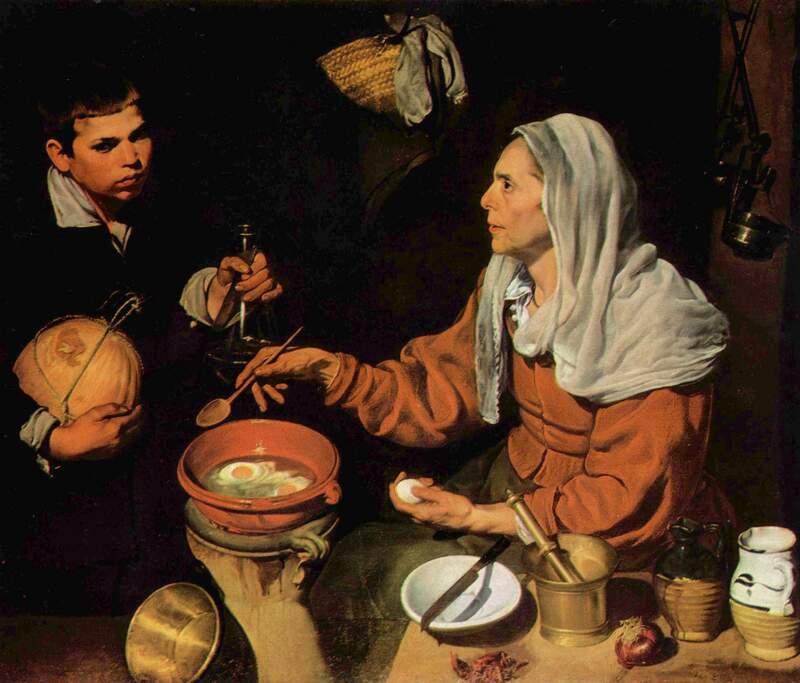 The cuisine of the Castile–La Mancha region reflects the origin of foods eaten by shepherds and peasants. Al-Manchara means, in Arabic, “Dry Land” indicating the arid lands and the quality of its dishes. It is said that the best La Mancha cuisine cookbook is the novel Don Quixote by Miguel de Cervantes. Wheat and grains are dominant in bread, soups, gazpacho manchego, crumbs and porridge. One of the most abundant ingredients in Manchego cuisine is garlic, leading to dishes such as ajoarriero, ajopuerco and garlic marinade. The cuisine of Catalonia is based in a rural culture; it is very extensive and a great culinary wealth. 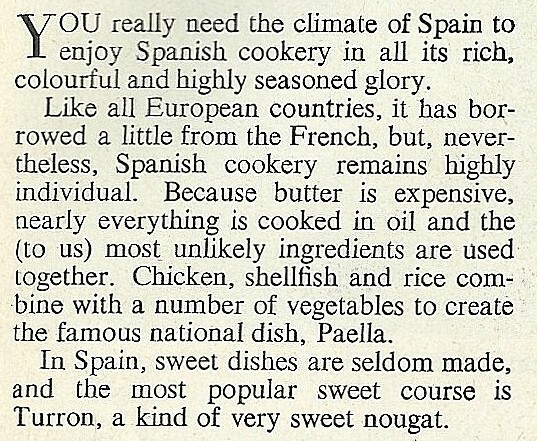 Notably, it was in Catalonia where the first cookbook was written in Spain. It has a triple cuisine: seafood, mountain and interior. Among the most popular dishes include: escudella and tomato bread. Bean tortilla, Coca de recapte, samfaina, farigola soup and snails are famous dishes. Notable sauces are: romesco sauce, aioli, bouillabaisse of Catalan origin and picada. Cured pork cuisine boasts sausage (white and black) and the salami and pepperoni of Vic. Among the fish dishes are suquet, stewed cod and black rice. The cuisine of La Rioja is recognized by the use of meats such as pork, and their cold cuts made after the traditional slaughter. The lamb is perhaps the second most popular meat product in this region (Sarmiento chops) and finally, veal is common in mountain areas. The most famous dish is Rioja potatoes and Fritada. Lesser known are: Holy lunch and Ajo huevo (garlic eggs). Another well-known dish is Rioja stew. Pimientos asados (roasted peppers) is a notable vegetable dish. Rioja wine has designated origin status. Galician cuisine is known in Spanish territory because of the emigration of its inhabitants. One of the most noted is Galician soup. Also notable is pork with turnip tops, a popular component of the Galician carnival meal laconadas. Another remarkable recipe is Caldo de castañas (a chestnut broth), which is commonly consumed during winter. Pork products are also popular. Seafood dishes are plentiful including Galician empanada, Galician octopus, scallops, crab and barnacles. Among the many dairy products is Queso de tetilla. Orujo is one of Galicia’s alcoholic drinks. Sweets that are famous throughout the Iberian Peninsula are the Tarta de Santiago and Filloas (pancakes made with blood). 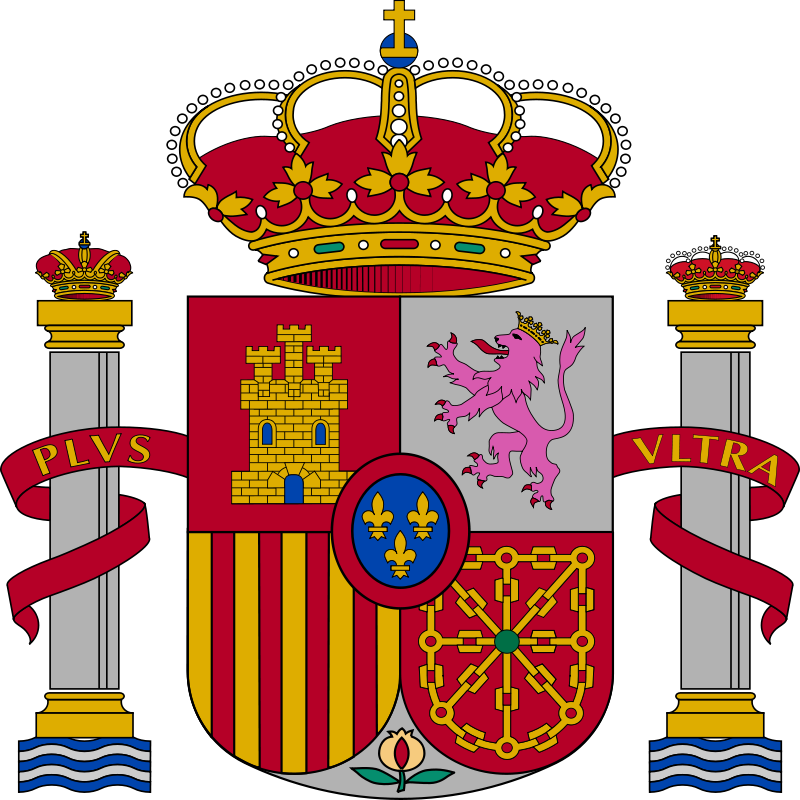 Madrid did not gain its own identity in the Court until 1561, when Philip II moved the capital to Madrid. Since then, due to immigration, many of Madrid’s culinary dishes have been made from modifications to dishes from other Spanish regions. Madrid, due to the influx of visitors from the nineteenth century onwards, was one of the first cities to introduce the concept of the restaurant, hosting some of the earliest examples. Notable dairy products are: rice pudding, meringue milk, cheese and curd. Some important fruits and vegetables are Aranjuez strawberries and melons. Madrid is rich in religious confectionery, with sweets such as chocolate con churros and buñuelos. The cuisine of Murcia is famous for its varied fruit production. Among the most outstanding dishes are Murcia tortilla, zarangollo, mojete, eggplants in cream, pipirrana while a typical sauce of the area is the cabañil garlic, used to accompany meat dishes. Among the culinary preparations are: the michirones (dried beans cooked with bay leaves, hot peppers and garlic). Among the cooked include: the gypsy pot, cooked with balls and mondongo,. Among meat products Murcia find black pudding, which is flavored with oregano, and Murcia cake that is made with ground beef. Among the fish and seafood are: the golden salt, the Mar Menor prawns and octopus baked. Rices are common and among them are: the cauldron, the pavement rice, rice with rabbit and snails, rice scribe, and the widower rice. Salteadores (Robbers) and Pastel de Cierva (Doe Cake, are typical cakes in Murcian gastronomy and can be found in almost all pastry shop in Murcia and are both sweet and savoury at the same time. The cuisine of Valencia has two components: the rural (products of the field) and the other coastal, which is seafood. 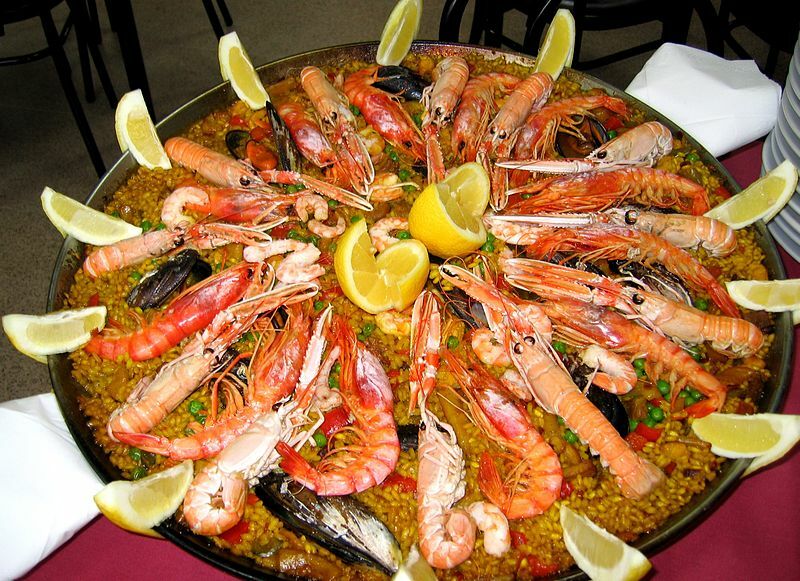 One of the most popular dishes is paella, but there are many other rice dishes, such as Arroz con costra, fideuá and throw rice, Arroz al horno, and rice with beans and turnips. 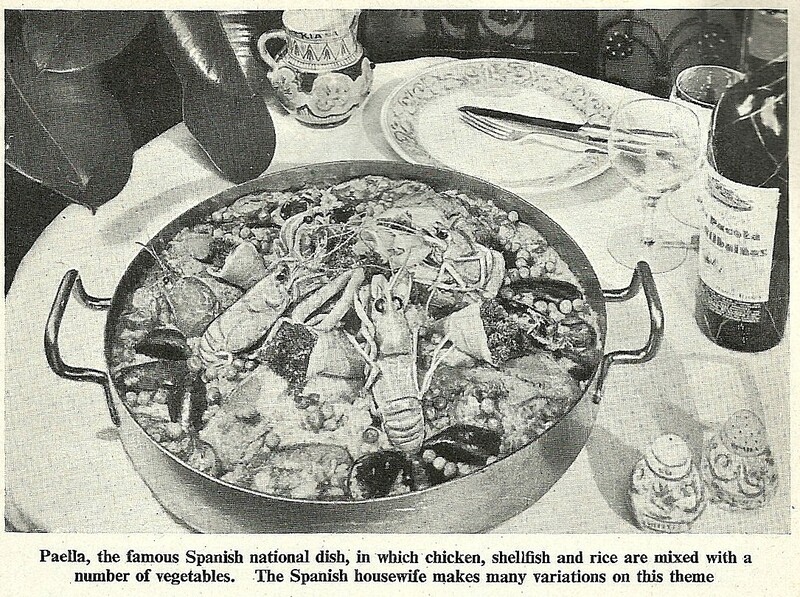 This entry was posted in European Cuisine and tagged fish, gazpacho, Iberia, olive oil, paella. Bookmark the permalink.